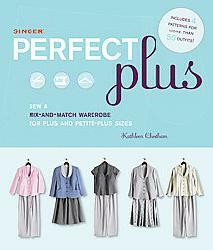 I recently got a copy of Singer Perfect Plus: Sew a Mix-and-Match Wardrobe for Plus and Petite-Plus Sizes to review, and it's taken me a while to get to it, being neither perfect nor plus-size. Perfect Plus is a very straightforward book, nothing fancy. You're not going to get any couture techniques here, or anything too fashion-forward or art-to-wear. This is primarily a book for petite, plus-size women who are not fashionistas, but are frustrated with the tatty stuff they see in stores (or with the price tags on the nicer plus-size garments) and who don't have a ton of sewing experience. The book includes four patterns (a blouse with collar & sleeve variations, pants, an elastic-waist skirt, and a jacket with very nice pockets) and many, many pages of help on how to choose fabrics, construction tips, and fitting. If you are newish to sewing, need a very basic petite plus-size wardrobe and want a lot of hand-holding, this book is ideal for you. These garments are so simple, though, that your fabric choices are going to be very important. Cheap polyesters or badly-designed prints will make these look like a dog's breakfast — upgrading to better-quality cottons and silks and good buttons (and taking your time with construction) will make all the difference here. If you're already an experienced sewist or you want garments with more advanced design elements, I'd save your money — there's nothing here that you probably haven't already made on your own. You'd be better off getting a good book on fitting patterns (like Fit for Real People ) and altering patterns that you really like. 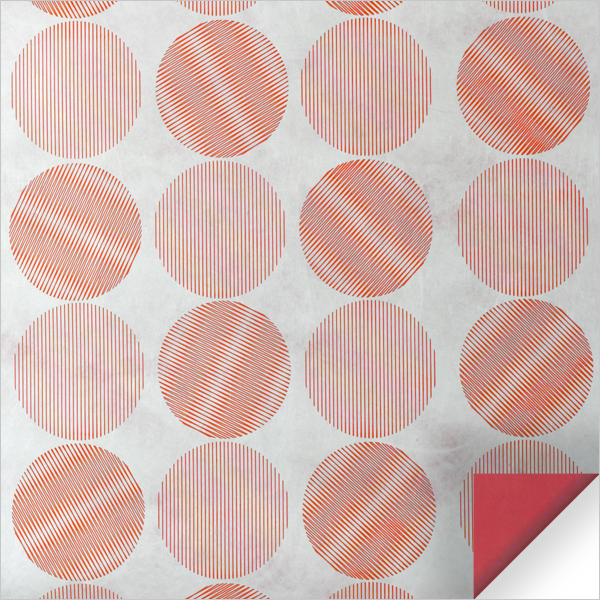 Beth sent me a link to the NYT article about a completely-recyclable Tyvek fabric being offered by Mio CultureLab. How is it completely recyclable? They even send you a prepaid return envelope with your order so that you can send back your scraps (or even your whole project, if you don't want it anymore)! That's pretty cool. 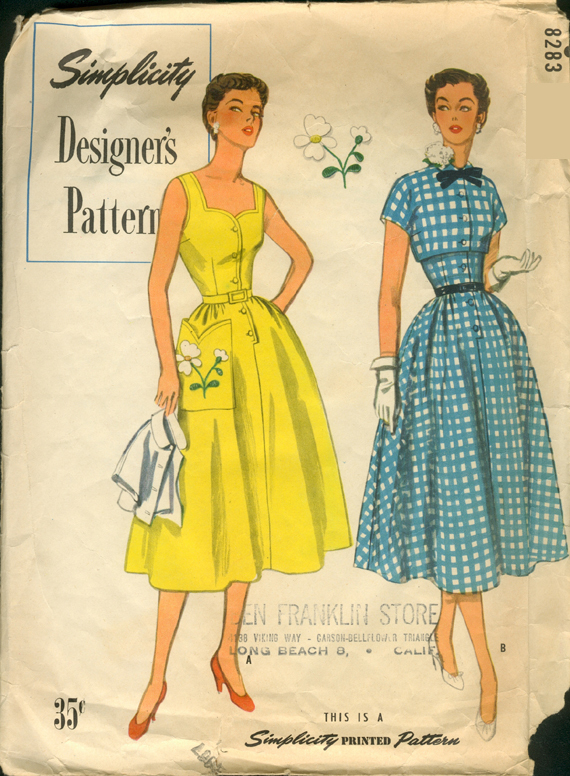 Michelle from Patterns from the Past reminded me that Pattern Review's Vintage Sewing Contest is starting up again! 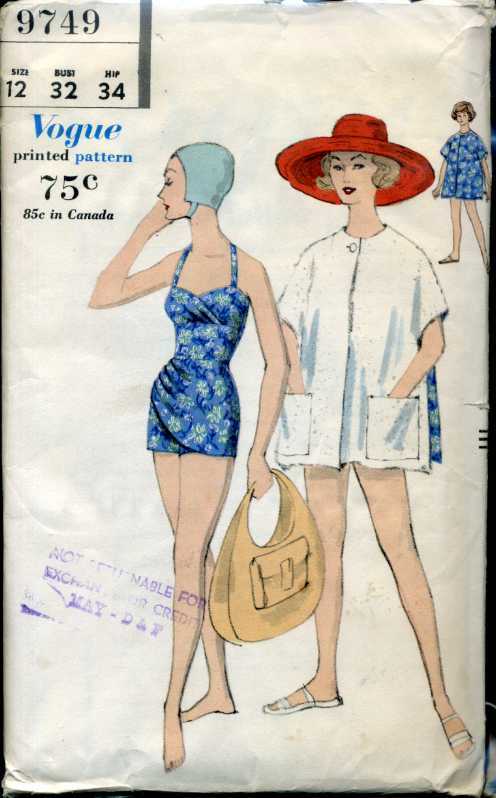 Michelle is also offering a 15% discount at Patterns from the Past during the contest. The discount coupon code is contest. Sandra at Sandritocat is running an April-Fool's-only sale — 25% off today only — and you can combine with her offer of free shipping with the purchase of three patterns. 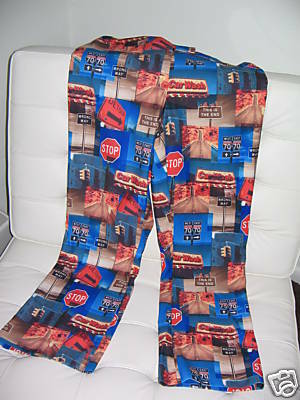 Marge, at Born Too Late Vintage Patterns, is running a $5 sale! All patterns at her store are $5 (or less if marked less already). All you need to do is haggle the price to $5 and I'll accept it. She's running this sale from Friday April 3 to Friday April 10th.